Last edited by CliffA; 11-13-2018 at 10:24 AM. Sh** happens, from time to time, to a relatively small number of P-car owners (those with the M96, specifically). OTOH, you've had one culprit addressed already, the IMS bearing. Like much of life, it's a crapshoot. You do what you can to prevent problems (TONS of info on this forum on this...SEARCH). After that, you learn to live with the possibility of catastrophic failure or you sell the car. The failure rates on the M96, although numerically 'small', are practically unheard of in any modern day engine. The severity of those problems only compounds how bad the situation is. That’s true…for those whose source of horsepower goes ‘Ka-boom’! The rest of us enjoy the heck out of driving these wonderful machines and don’t give that negative potential a lot of thought (other than preventatively, where that’s an available option). Got my ’01 in 2006, with 19K miles. During the first 2-3 years had a few issues (alternator, one front wheel bearing, water pump, an 02 sensor), plus basic maintenance. Drove her A LOT. And pretty darn hard---even came close to getting myself in trouble on occasion. Since squaring away those initial blips she’s run like a top. I know, with 101K miles now, there will be additional problems to address somewhere down the road. I’m okay with that. I’ve had one helluva lot of fun with this car, and if she blew tomorrow I would look at this as having been a great investment. Like I said, it’s a crapshoot. Bottom line: if the fear of catastrophic failure is gonna keep you up at night, you probably shouldn’t buy one of these cars. Otherwise, I say go for it. Last edited by Frodo; 11-14-2018 at 03:22 PM. Because I love my Box, I spent way more money on parts than it is worth as a whole and rebuilt everything I could get my hands on...including the IMS and RMS. The car had a double roller which is normally a stable and has a minimal failure rate... Mine was in Stage 1 failure. I dodged a bullet down the road, but that is just me. I want the car for a very long time. Take the time to learn and research the car and begin to do what you can to fix what you can....or drive it till it blows up and put a new motor in it. These are great cars but they need TLC every now and then. They can be great motors. I’ve been tracking mine for 7 years, it has well over 100,000 miles and has been dead reliable. In fact in my track group it’s the only motor that hasn’t blown (others with M3s, mustangs, etc have blown theirs). Now what does piss me off is that it only makes 200hp! The good news is the cost of replacement motors has come down for us 986 guys. I can’t imagine having the same risk as the 997 guys have. Last edited by CliffA; 11-15-2018 at 04:26 AM. Someone was doing just such a electric motor conversion in another thread. I don’t recall how it ended. yessir. at the track there are brz guys on their third and fourth engine - oiling issues. mustangs break all the time. bmw's having valvetrain issues. godzillas overheating their transmissions after the 5th lap. turbo miatas can't do 20 minutes. and i've seen more issue with mezger engines than m96; that coolant pipe issue they have and a few other failures. And the newer the car typically the worse they are. I had a student earlier this year with a Lancer Evo 10 (bone stock and practically brand new), the transmission kept putting the car in limp mode after the first few laps (it was over heating), then on the last heat of the day once it had cooled down and the transmission was cooperating the engine blew up. There are so many new performance cars that are just completely unable to be tracked. 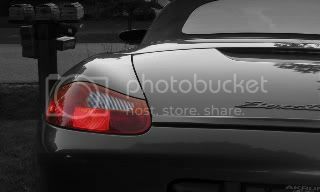 A Boxster on the other hand could run all day and at the end of the day it would drive just like it did at the beginning of the day. I read several articles about the nefarious IMS/RMS issues, and shopped with eyes wide open. I got my '99 cheap, and literally drove the car first to a trusted mechanic with the mandate to do the IMSB. I asked the previous owner if he had done the IMS, and he told me his shop recommended not to do it (the '99 has a double-row bearing and <1% failure rate). What I didn't notice until after the purchase was the mounts were shot. Those were replaced, and my mechanic also advised not to replace the bearing. He said the car was in good riunning condition. The day after I picked it up from the shop, the inner CV joint exploded. Probably because the previous owner drove the car with bad mounts. In one article about buying a Boxster, the guy said "expect to spend $2K in the first year". He was right. Now I'm just dealing with small issues and focusing on cosmetics. You need only to look at the number of delighted members here, and the high mileage on their cars. If I think "did I make a mistake buying the car? ", I just roll down the window and listen to the engine that sounds like no other! Just another internet article that is done by a person who has read something on the internet and made an article out of some information he has read. Sorry. Yes there are problems with theses engines, but if you write that kind of an article you should really have a deep understanding about the technical aspects and what you're writing about. Everything else is clickbait. Man, I bought my 2000S in 2008 with 75K miles. Sold it last summer with 134K miles. Basically only routine maintenance done. Never had to take it to a shop as I was able to do anything required. Never needed a clutch and didn't use/drip any oil. Heck, I didn't even have to do the AOS! Great car!